Huzzah! E-Secretary segment of website completed. Woot! 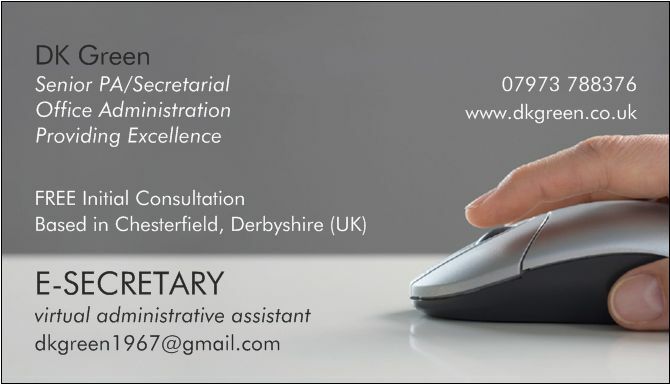 Finally have the whole E-Secretary bit of my website back up, my goodness it’s good to see it up and running again. The Business Advisor I had a meeting with the other day was *very* helpful, Ian his name is, fine chap and most forthcoming. Transpires I’ve lots of help ahead in the coming weeks for this particular venture. That makes me happy. Doesn’t mean this venture is going to replace the Psychotherapy path though. I’m returning in September to undertake the Advanced course. Still pursuing the Life Coaching, NLP and Cognitive Behavioural Hypnotherapy too. I’m hoping E-Secretary will pay for the completion of my training in those departments too as it happens! However the Virtual Assistant business can certainly provide me with work, a steady income and some purpose while I’m waiting. It’s something I’m exceptionally good at and can do from home, so health is no longer an issue either. Yay! I’ve already had offers of help from others wishing to work from home too, particularly with their own health issues, so if work comes piling in I’ll happily pass that on. That’s a pleasant Karmic by-product I hadn’t thought of so I’m pleased about that. What fun. Eclectic much, me? E-Secretary, Tarot Readings, Therapist in oh so many forms… ~chuckles~ …life is certainly proving itself inspiring and interesting at the moment, despite personal challenges! This entry was posted in E-Secretary. Bookmark the permalink. 3 Responses to Huzzah! E-Secretary segment of website completed. Splendid. Here’s to work flooding in.